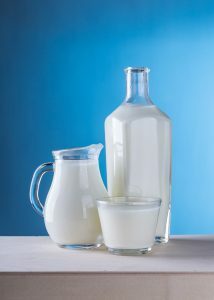 Calcium is an important essential mineral needed for making, growing, and keeping healthy bones and teeth. It also helps the muscles and nerves to work and helps to control blood pressure. During pregnancy, calcium deficiency has been found to increase the risk of pre-eclampsia, i.e. high blood pressure that comes on during pregnancy. The World Health Organisation (WHO) reported that this condition affects up to 8% of all pregnant women and is a major cause of preterm births and maternal death. The Department of Health recommendation for calcium intake for adults, including during pregnancy, is 700 mg a day. The recommendation for breastfeeding women is 1,250 mg a day. However, the WHO recommends that all women should have a higher intake, 1,500 to 2,000 mg a day, throughout pregnancy from the 20th week, especially when there is a risk of pre-eclampsia. Foods high in calcium include the following: milk, yoghurt, cheese or calcium-fortified vegan equivalents will offer enough calcium to reduce the risk of pre-eclampsia. Cereals (such as wheat, oats, and rice), leafy vegetables, nuts, and seeds also have significant amounts of calcium. Are you having enough calcium? Click here to find out how a Diet Check can prevent nutritional deficiencies and identify simple changes that can improve your health.